How can TS4RTK be used? Pre-printed with a four-color NFPA diamond and dividers. Compatible with ISS RTK Label Creator software. 250 labels per roll. UV rated. 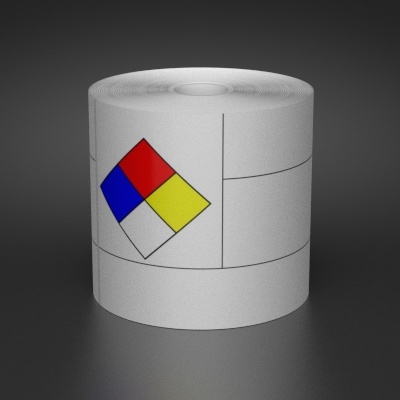 Our National Fire Protection Agency (NFPA) Right To Know (RTK) labels are perfect for labeling chemical hazards of any kind. A free database of chemicals is available on request, and can print directly to our SafetyPro RTK label stock instantly!